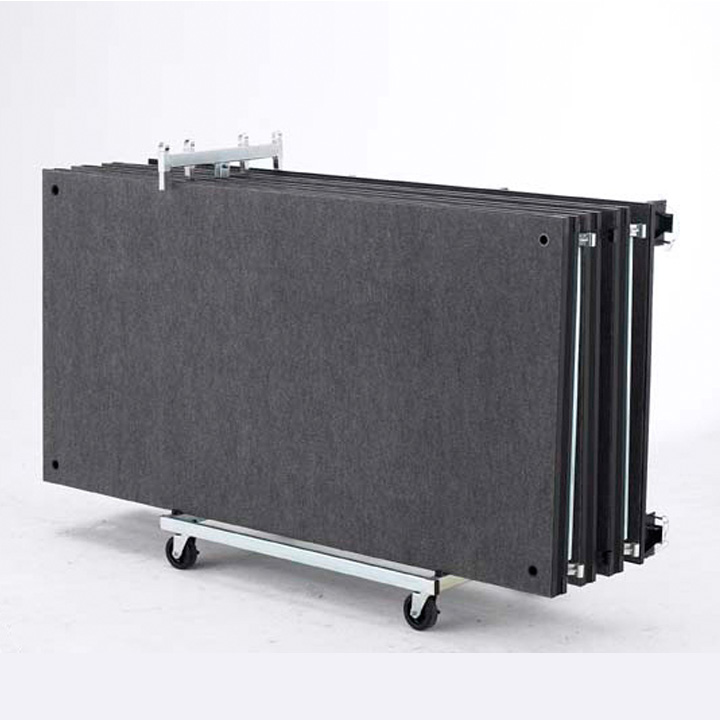 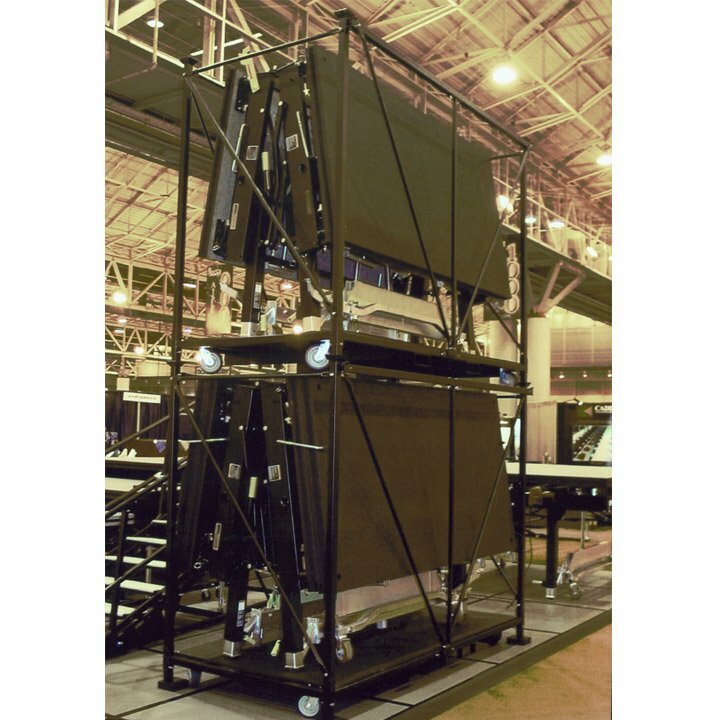 We offer caddies for transport and storage for all our portable stages and stage accessories such as draperies, enclosure panels, guardrails, chair/table stops, guardrail covers and stage ramps. 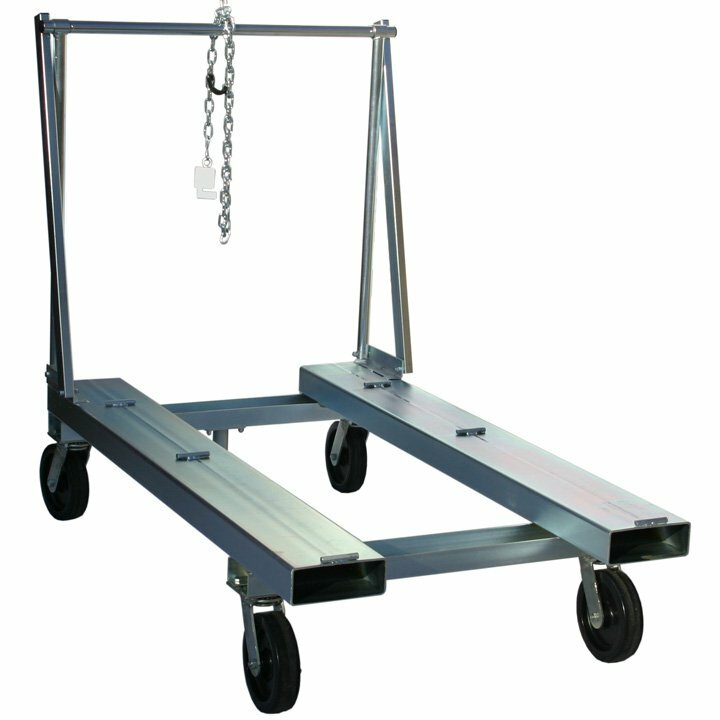 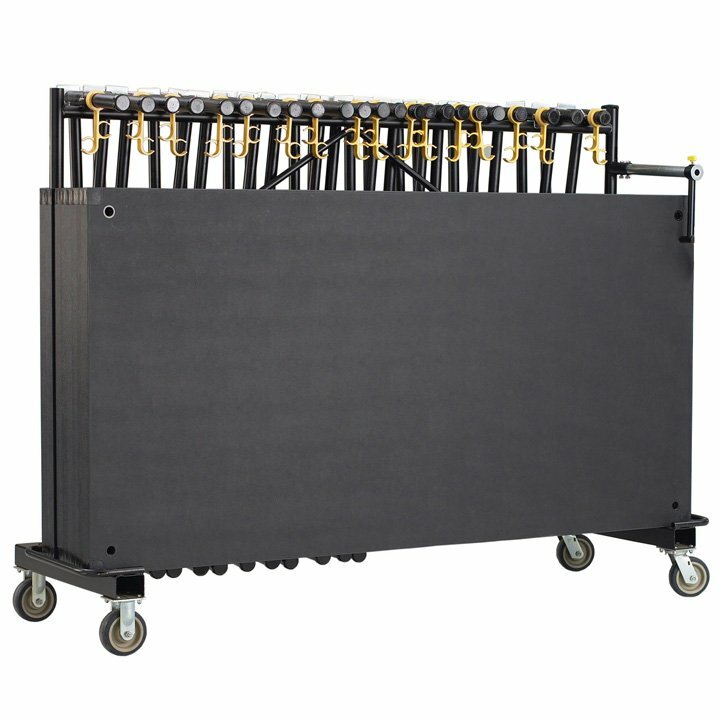 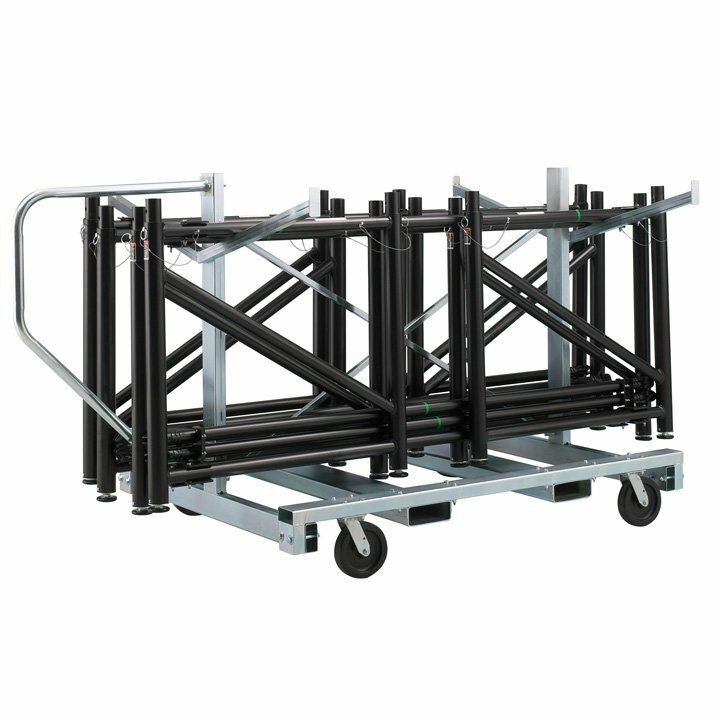 Our stage and accessory caddies use non-marring, heavy-duty casters (two swivel and two non-swivel) that provide easy maneuverability while protecting floors with a welded frame constructed of steel tube and supporting members of 14 gauge steel or greater. 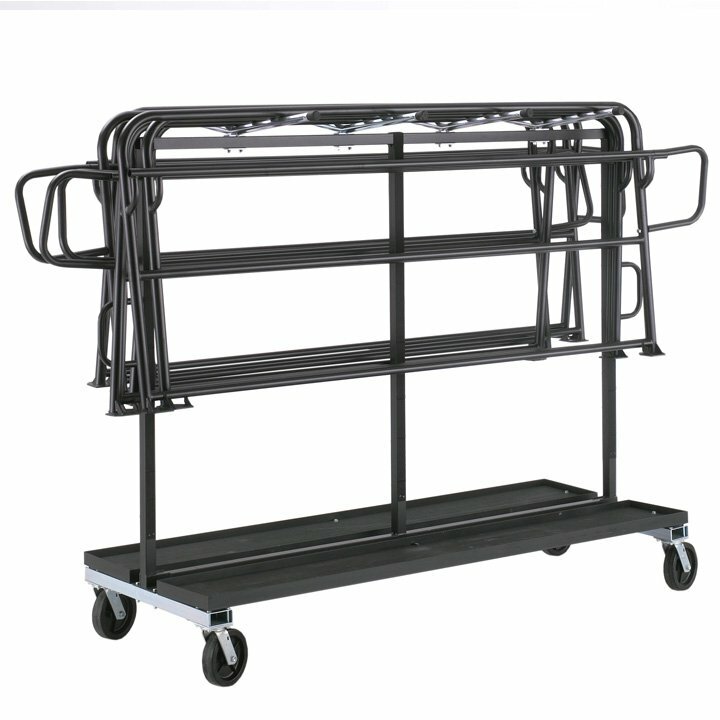 Caddies are available for any stage and stage accessory.